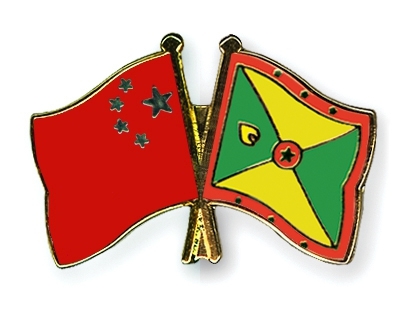 The People’s Republic of China in collaboration with the Government of Grenada is offering full scholarships to Grenadian nationals to pursue Master’s of Science Program in Meteorology in Nanjing University of Information Science and Technology, China, for the academic year 2015/2017. Be staff members from meteorological administrations, higher educational institutes, scientific or academic institutions, or non-government organizations in developing countries. Be the holder of a Bachelor degree in Meteorology or relevant majors. Only applicants recommended by the Embassy of the People’s Republic of China will be considered and admitted. Then print the completed form our and sign your name and the date on it. Step 2 – Sending Soft-copies of All Application Materials to Nanjing University of Information Science and Technology. Applicants are required to send the soft copies of all application materials (listed on Item 3) by email to 001962@nuist.edu.cn. After being surely accepted, applicants are required to visit online application system of Chinese Scholarship Council at http://laihua.csc.edu.cn/. Select the program named “Chinese Government Scholarship” and complete online application. The Agency Name is: Nanjing University of Information Science and Technology. Note: Only if you finish this online application, can you finally receive the formal admission notification from Peking University. Applicants are required to complete and submit their application online through the website http://laihua.csc.edu.cn. Then submit three (3) copies of the printed version and supporting documents to the Scholarship Desk, Ministry of Education and Human Resource Development no later than Friday, 15 May 2015.